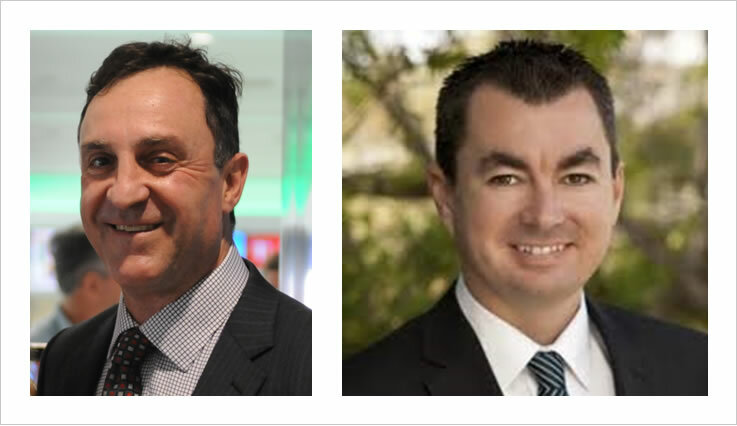 The Australian Turf Club has bolstered its long-term strategic plan to grow Sydney racing, with two senior appointments to its Executive team announced today. Mr James Heddo has been appointed Executive General Manager Racing, and Mr Steve McMahon has been appointed to the new role of Executive General Manager Strategic Development. Both men will report to the ATC’s Chief Executive Officer Darren Pearce. Mr Heddo – currently the CEO of Gosford Race Club and Chairman of the Provincial Racing Association- has almost 30 years experience in the Australian racing industry, and has previously held roles with the Sydney Turf Club, as well as CEO of the Townsville Turf Club and Bendigo Jockey Club, before his past seven years as CEO at Gosford. Among several key areas in his new role, Mr Heddo will be responsible for leading the ATC’s Racing Department to deliver world-class racing, including the development of racing programs, managing industry relationships, growing wagering, and overseeing the development and management of the Club’s racing and training surfaces and stables. Mr Heddo starts his new role on 22 February. Mr McMahon has been CEO of the NSW Trainers Association since July 2011, as well as Chairman of the Racing Industry Consultative Group (RICG) for more than three years. He has more than 15 years experience in senior business and Government roles, including as a Councillor and Mayor of Hurstville City Council, and as a key advisor to several NSW Government ministers, including as a Chief of Staff for the Minister for Gaming and Racing. Mr McMahon will work alongside the CEO building the strategic plan for Sydney racing and delivering key projects, both corporate and racing, to strengthen the ATC’s business. He begins the role on 1 February. Australian Turf Club Chief Executive Officer Darren Pearce said the Club’s Board was delighted to have secured two executives with such passion and experience in racing, and for the benefit of the ATC, at a time when Sydney and NSW racing was entering one of its most promising periods in history. The appointments will help to continue to grow Sydney racing as the strongest and most competitive centres in the world, Mr Pearce said. “Both James and Steve are not only highly talented executives, but they have built great reputations and long experience within a wide circle of the racing industry, and we are thrilled to have executives of their calibre at the ATC,” Mr Pearce said. “James has almost 30 years experience in the racing industry, and in recent times has continued to build Gosford and its racing as among the strongest and most successful in provincial NSW. “He will be able to use his great knowledge of racing and relationships within the industry as the ATC continues to put more surpluses into racing, and as tax parity begins to take affect this year. “Steve has a great passion and commitment to the racing industry, and his skills will be invaluable as the ATC not only grows and invests more into racing, but other parts of our business. Mr Heddo said: “The growth of the Australian Turf Club since its inception in 2011 has been extraordinary, and I am honoured to be offered the opportunity to join a team that will continue this amazing success. Mr McMahon said: “Sydney racing has an exciting future, with challenges and big opportunities, always with racing as our core business.